New characters and more in Avengers: Earth’s Mightiest Heroes season 2 | The Daily P.O.P. 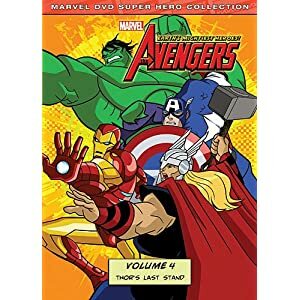 The first season of the Avengers cartoon was a fun ride that firmly established the Marvel Universe in a new way that paid homage to the legacy of the comic book. 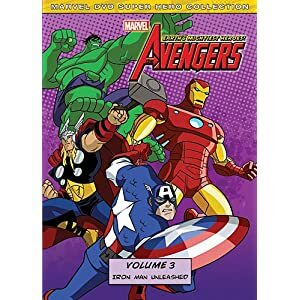 The Hulk, Iron Man, Thor, Giant Man, Captain America, the Wasp, Hawkeye and Black Panther have already been heavily developed as the Avengers in the previous year but there are plenty of new additions coming for their second time out. Hank Pym (Giant Man) will apparently be adopting his Yellow Jacket persona and the wasp will be getting as new costume. Iron Man, Thor, Black Panther and Captain America will all be donning new uniforms and in some case gaining new weaponry! Several new Avengers; Ms. Marvel, the Falcon, the Vision and Mockingbird are also on their way and are sure to generate lots of excitement from fans. Additionally, the Guardians of the Galaxy will co-star for a story, so get ready for Groot! The Black Widow, Nick Fury, Agent 13 and the Fantastic Four will also be guest-starring. 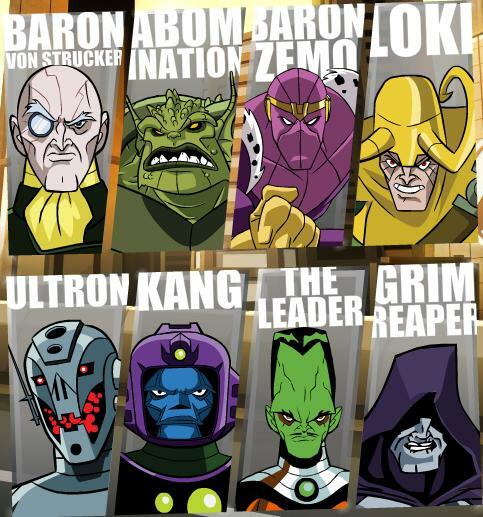 In addition to new team members, several old villains will be coming back in addition to some new ones. as the concluding episode of season one confirmed, there is a Skrull menace on its way for the planet, so our heroes are sure to have their hands full. Joshua Fine and Christopher Yost give viewers the details on what to expect in Avengers: Earth’s Mightiest Heroes Season 2 in this sneak peek video. 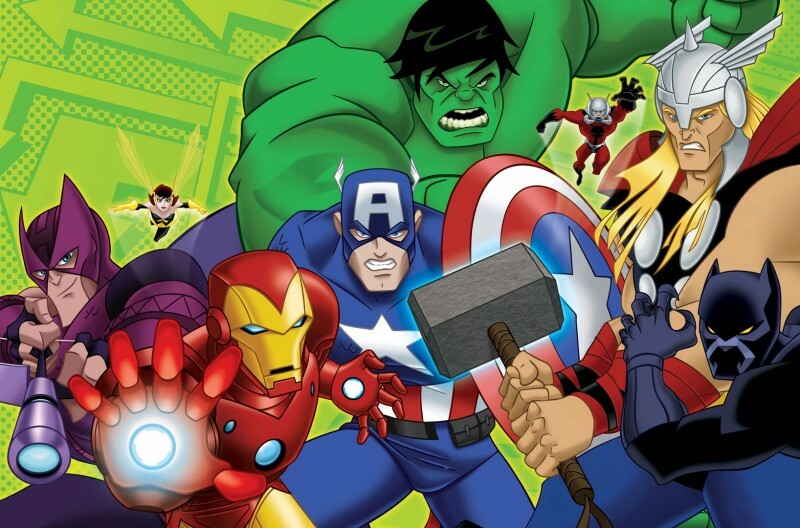 Avengers: Earth’s Mightiest Heroes season 2 premieres on Disney XD next month. 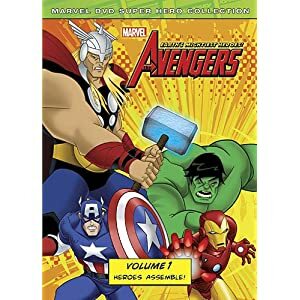 This Post was posted in Avengers: Earth's Mightiest Heroes and tagged Avengers: Earth's Mightiest Heroes season 2, black panther, Captain America, Giant Man, hawkeye, Iron Man, marvel comics avengers, Mockingbird, ms marvel, The Hulk, the vision, the Wasp, Thor. Bookmark the permalink. This as been one of my favourite cartoons at the moment. The stories are very true to the comics (always a good sign!). I am also watching Transformers Prime (complete with Peter Cullen reprising the role of Optimus Prime) which is excellent!!! Hero Factory, which is beautifully made and stars both Henry Winkler(The Fonz from Happy Days) and John Schneider (Bo Duke from The Dukes Of Hazzard & Jonathan Kent from Smallville). Believe it or not, I have discovered the the new Japanese manga version of another classic 80’s cartoon Thudercats. Feels like I am relieving my childhood all over again! Glad you are finding so many great ‘toons! I caught the 2 part premiere of Thundercats and liked it a lot. Very well done. Funny you should mention that, part 2 was on today. Though they are taking liberties with the character’s histories, I am enjoying it. I wish that they would give all these cartoons proper music. 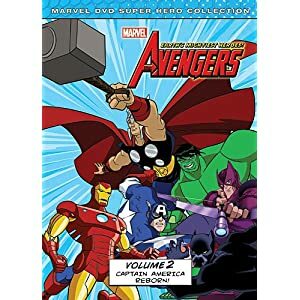 I would like to see a more “international” spin to the show with the Avengers interacting with non-American characters. For example, there could be an episode set in Canada featuring Alpha Flight and another episode set in the UK with guest appearances from British favorites like Captain Britain, Black Knight, Spitfire, Union Jack, Pete Wisdom, and Blade. P.D. CHRIS YOST SPEAK LIKE ME.